If you like fruits, the Fruit Warp Slot from Thunderkick are one of the best choices for you. It is an exciting game that can bring joy and winning combinations to every player. Besides the opportunities to win, you will also like the cute and entertaining symbols that appear on the screen one round after another! But let’s see what is so special about this machine and how you can make the most out of it! While you play Fruit Warp Slot for real money, you can enjoy a beautiful theme and the right atmosphere to relax as you spin away. The theme of Fruit Warp Slot is very well put together, with attractive graphics and well-designed background. The symbols are created in a very entertaining way. You will find a wide variety of fruits that can bring you money if you land them in any winning combination. The graphics of Fruit Wrap casino slot online will astonish you from the beginning, even before you start spinning. There is a short video of fruits floating that welcomes you to the game. And the effect is similar to a 3D effect which adds to the charm of this machine. 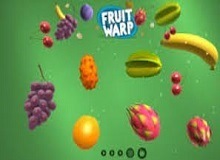 The soundtrack of the Fruit Warp slot game is also very relaxing, and it will not bother you as you are spinning away. Many gamblers enjoy the soundtrack as it is very relaxing during spins. It also has a different soundtrack during free spins that you can enjoy. Besides the classic graphics and thematic aspects of this slot, you will also encounter a wide variety of features. As you play Fruits Warp slot machine online, you will discover that there are no reels, which will make you wonder about how you can play this machine and win at it. But it is fairly simple. All you have to do is land the same symbol at least 3 times to get a winning combination. Since this is a different type of machine, you will not find the wilds and scatters that you are used to. But you will find nice bonus features. The bonus gets triggered when you land the same icon for at least 4 times on the screen. However, there are no obvious jackpots to chase, but you will most likely not miss them either. The RTP of this machine is up to 97%, and most of this success is thanks to the incredible unique setting of this gambling adventure. This is also the reason why it is one of the most popular slots in most casinos online. You can try out Fruit Warp-free if you want to get familiar with it for a few rounds before estimating its overall value. The unique feature of this machine is the lack of pay lines and reels. You will most likely be fascinated by the entire atmosphere and the entire settlement of this arcade machine. 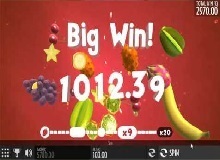 Add to this a wide range of ways to land wins as your fruits come on the screen, and a very smooth theme and you get an amazing combination. The chances are that this will become one of your favorite machines and it will keep you busy for hours. You might be tempted to wonder if there are any cheats to use to get more chances to win, but there is no such thing. There are no special tips, and all you have to do is follow the rules. After a few rounds, you will understand exactly how this machine functions and you will be able to make the most out of it. In a short time, you should be able to develop the strategy that will bring you on top of these symbols! 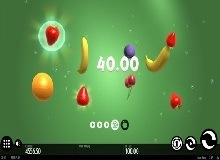 Since there are no paylines you will have to rely on the screen, and the way fruits appear on it to increase your balance. Your bet button will establish a bet for the entire game and not each pay line at a time. This machine can entertain you as you spin away round after round. You will be able to increase your bank account while you are having a lot of fun. The unique concept of this gambling machine will bring you plenty of satisfaction and quality time. 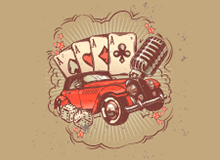 All you have to do is forget everything you know about gambling machines and give this one a fair chance because it can amaze you from the very beginning! The fruits that land on the screen are full of surprises and opportunities, so there is no need to underestimate the incredible potential of these symbols. The chances are that you will incorporate this game into your gambling routine before you even realize it. Summary: Fruit Warp slot is unique and very attractive at the same time. There are no reels, but there are plenty of bonuses and winning chances to explore!